Sly and his ragtag bunch of mercenaries are back again… again, and the third mission for The Expendables is the least inspired yet. 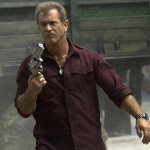 The novelty of action icons teaming up wore off long ago, the question, “Who can they add next” replaced with, “What’s the point of this, anyway?” While being referential and tapping into the spirit of beloved – truly or ironically – action films is a primary objective, this franchise has never carved out its own identity. Yes, it’s fun to hear Schwarzenegger exclaim, “Get to da choppa!” It’s fun when watching or reminiscing about Predator; but not fun when watching futile nostalgia-bait in the empty vessel that is The Expendables 3. To call the plot formulaic wouldn’t be exactly right. Expendables 3 plays more like a bunch of action movie trailers smashed together with just enough awkward exposition to make the film marginally coherent during a bloated two-hour-plus runtime. The jumble begins with Barney Ross (Sylvester Stallone) and series vets Lee Christmas (Jason Statham), Toll Road (Randy Couture), and Gunner (Dolph Lundgren) attacking a train. The crew rescues the prisoner, and former Expendable, Doctor Death (Wesley Snipes) from the clutches of an unnamed evil empire. The reference of Snipes being locked up is obvious enough; we don’t need him to quip that he was imprisoned for tax evasion. Things spiral further into mechanical routine from there. 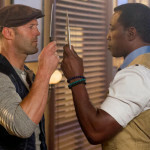 The team joins Hale Caesar (Terry Crews) to intercept a nefarious arms dealer, only to discover their mark is Conrad Stonebanks (Mel Gibson), another former Expendable who went rogue and was presumed dead. After the op fails, Barney pressures his colleagues into retirement, ditching them for a younger squad to help him take Stonebanks down once and for all. With the aid of fixer Bonaparte (Kelsey Grammer), Barney assembles the least charismatic group of young bucks imaginable: weapons specialist Mars (Victor Ortiz), tech expert Thorn (Glen Powell), cheerless former Navy SEAL Smilee (Kellan Lutz), and all-around badass Luna (UFC champ Ronda Rousey). After the newbies monopolize the second act with their introductions, they’re quickly captured by Stonebanks, forcing the old dudes to reassemble and come to the rescue. Director Patrick Hughes is in over his head or out of his element (perhaps both), failing to corral the combat into any measure of fun. There’s plenty of slashing, shooting, and exploding – mostly bloodless to attain a controversial PG-13 rating – all of it carried out by featureless archetypes operating within standard set pieces. Hughes adopts the same boring point-and-shoot strategy with his camera that The Expendables use with their automatic weapons, framing scenes in the most efficiently mundane manner. Real-life warrior Rousey is the only one who gets to showcase unique fighting skills, using her signature MMA moves to thwart faceless goons in the climax. When required to speak, however, things don’t go so well for her. 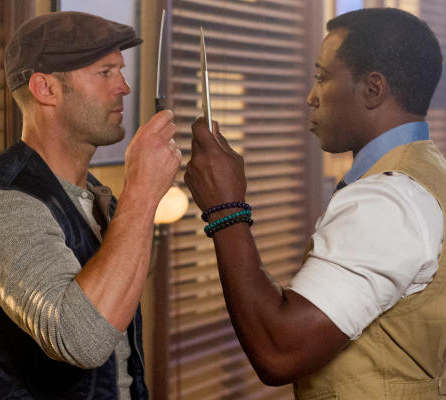 The Expendables 3 is aggressively mediocre, combining tame violence and anecdotal tedium into an overinflated package that lacks anything approaching a thrill. It can’t even pander correctly, reminding us how a swollen sense of self-worth helped to kill off the subgenre it’s trying to evoke.